Check out our online newsletter for great elder care information and helpful tips! Are you overwhelmed with the responsibility of taking care of an aging loved one? Concerned about the safety and well-being of your loved one and don't know where to turn for guidance? You don't have to go through this alone! Our Geriatric Care Managers assist older adults and their families in overcoming the many challenges related to aging. We advocate for our clients within the healthcare system, provide appropriate professional referrals, and ensure that our clients' health and safety is maintained. 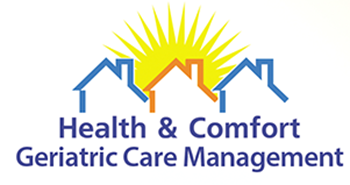 Our Geriatric Care Managers significantly reduce worry, stress and time off work for families and caregivers. Family members will feel secure in knowing that their loved one is being consistently monitored and that the plan of care is tailored to accommodate any changes and ongoing care needs. Utilizing the services of a Geriatric Care Manager saves time and can drastically decrease healthcare costs by avoiding unnecessary hospitalizations, reducing emergency room and physicians visits, and preventing inappropriate placements or duplication of services. For more information regarding our services, please click here, email us, or give us a call at 732-246-8555.